The world is caught up in Game Of Thrones fever right now, and Fender Custom Shop is no exception, releasing three new limited edition guitars modelled on the HBO show’s three main houses – the Game Of Thrones Sigil Collection. 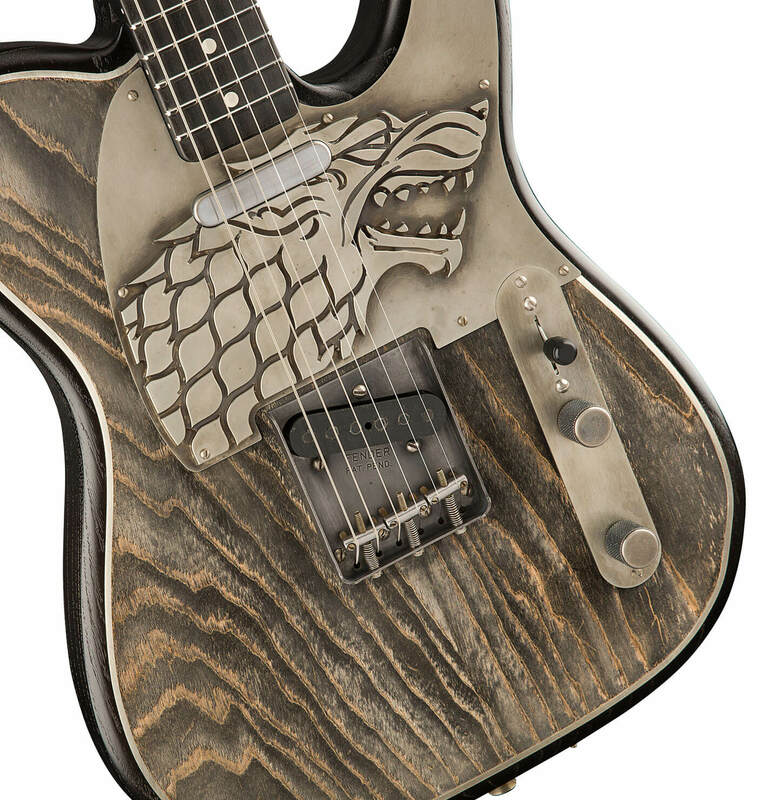 Created to celebrate the premiere of Game Of Thrones’ final season, the House Stark Telecaster, House Lannister Jaguar and House Targaryen Stratocaster are hand-crafted by Fender Custom Shop Principal Master Builder Ron Thorn and built to order, with each guitar featuring a meticulous level of detail that required over 300 total man hours to complete. 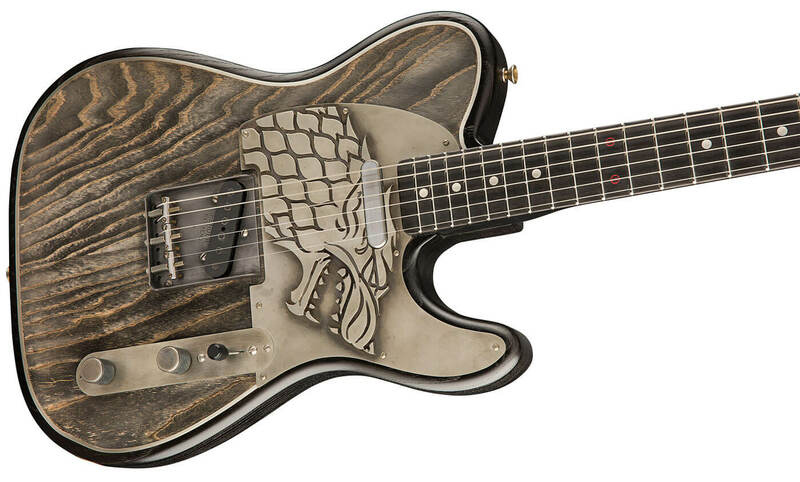 The House Stark Telecaster features a lightweight swamp ash body with inlaid sterling silver purfling, and an embossed Dire Wolf nickel silver pickguard. The Stark sigil is also found inlaid in sterling silver at the first fret of the maple neck’s ebony fretboard, while hand engraved knobs, an etched neckplate and custom ‘Raven Black’ and ‘Gray Wolf’ finishes round out the package. 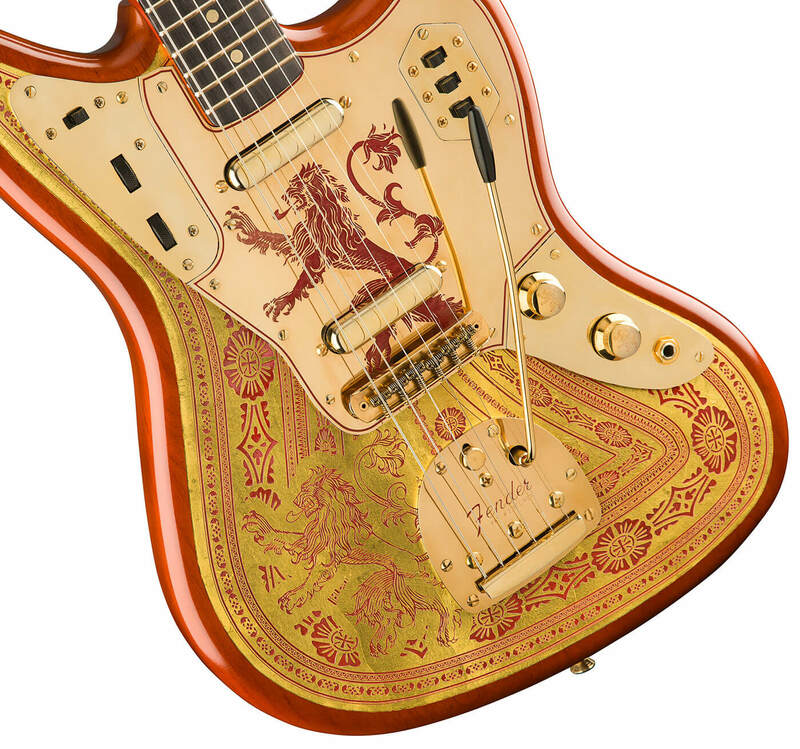 The House Lannister Jaguar, meanwhile, pays tribute to Westeros’s richest house with an eye-popping 24k gold leaf heraldic design on the alder body and headstock, while the first fret inlay is brass this time, with gold hardware and a gold-plated pickguard embossed with the lion sigil. Again we get custom engraved knobs and ‘Burnt Crimson’ and ‘Lannister Gold’ paint colours. 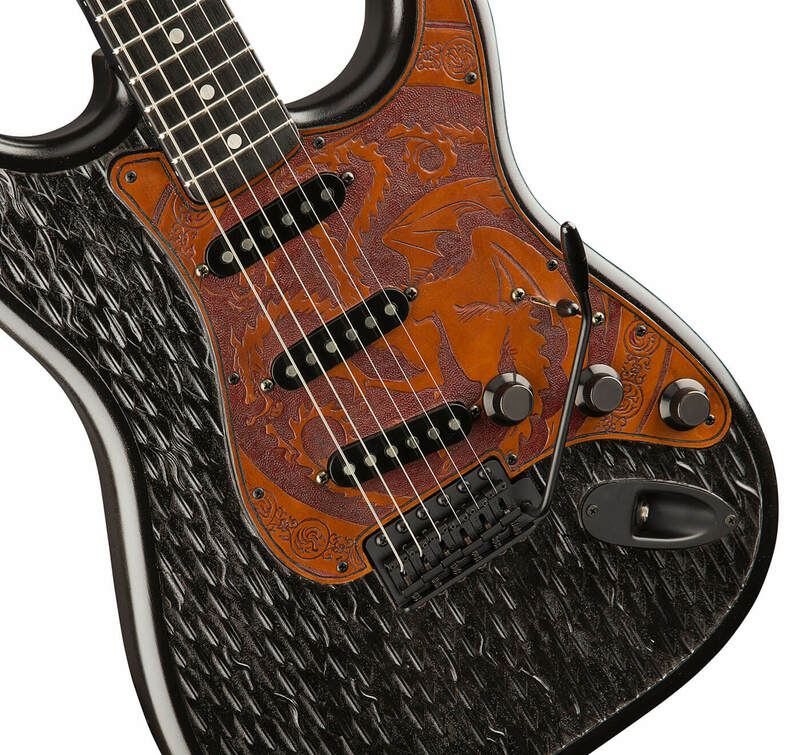 Finally and perhaps most eye-catchingly, the House Targaryen Stratocaster draws from the Targaryen’s penchant for dragons by carving dragon scales across the front and back of the guitar, pairing it with a hand-tooled and stained leather pickguard featuring the three-headed dragon sigil, which is also inlaid in sterling silver at the first fret. The finish is a thin lacquer over ‘Dragonglass Black’. Each guitar also features a bespoke case that reflects the instrument’s ethos, but you might need to head to the Iron Bank of Braavos before putting a deposit down – prices range from $25,000 for the House Stark Telecaster to $35,000 for the House Targaryen Strat.